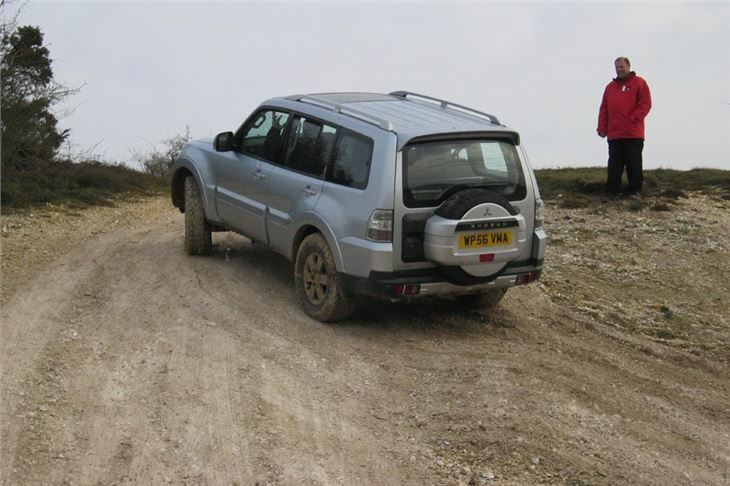 Was this the time for Mitsubishi to launch its big nerw fourth generation Shogun? If you look at last year’s figures for 4x4 SUVs you might think the green envy crowd had got one over on the green welly brigade. But you’d be wrong. Though overall SUV sales were down 6.2%, sales of the biggest ones were actually up 4.3%. Not because the buyers are all ‘idiots’ intent on buying the most icecap melting 4x4 they could afford for the suburban school run. But because a lot of country people actually need a big, capable 4x4 to tow their trailers, caravans and boats or to cross their land to shoot the foxes they’re not allowed to hunt any more so their chickens, ducks, and pheasants don’t get wiped out. The new Shogun is a proper, working vehicle with a 4-cylinder 3.2 litre diesel engine developing a stump-pulling 381Nm torque. Whether manual or automatic it has a straightforward 2WD, 4WD, 4WD with locked central diff and 4WD low range with locked central diff. For the really tough stuff a locking rear diff is optional. Don’t forget Mitsubishi has a track record as this sort of thing. Modified Shoguns have won the Paris Dakar Raid no less than twelve times. It has a wading depth of 700mm (28”), approach and departure angles are properly thought out. It even has a deliberately sloping front bonnet to give the driver a better view over crests. 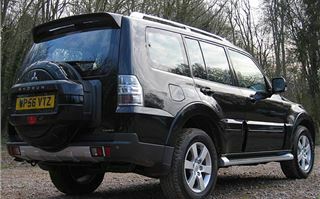 The short wheelbase version can pull 2,800kg and the LWB 3,300kg. It has monocoque construction with built-in ladder-frame, like its immediate predecessor, so is rigid and rattle-free. Mitsubishi is hoping for a 4 star NCAP crash safety rating. The engine is a little bit more powerful than before with a little big more torque, but more importantly is now EU4 compliant and much quieter. Though with CO2 outputs of 246g/km for the manual and 280g/km for the auto, it is likely to be congestion charged out of city centres. 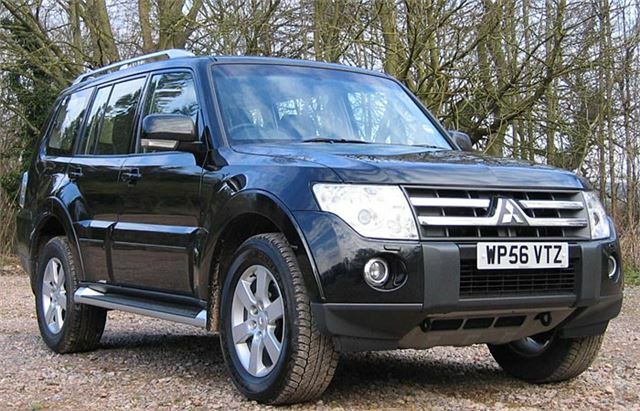 But for owners on their tried and trusted 2nd and 23d generation Shoguns it’s eagerly awaited and some Mitsubishi dealers have already pre-sold their 2007 allocation. Off road, of course, it’s fantastic. 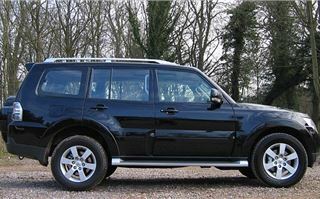 Easily the equal or better of any LandRover, Jeep, Nissan or Toyota. The impossible becomes possible, and the impassible passible. 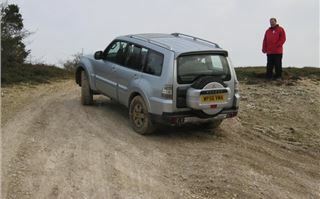 On the road, steering designed for off-road use is less than positive and the vehicle understeers quite heavily. 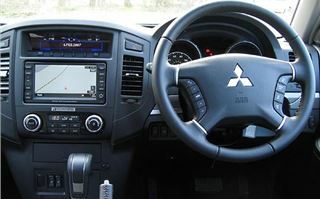 That can be lessened by running in 4WD High, but it’s no sportscar and nothing like as pleasant to hustle along as the more car-like Mitsubishi Overland. 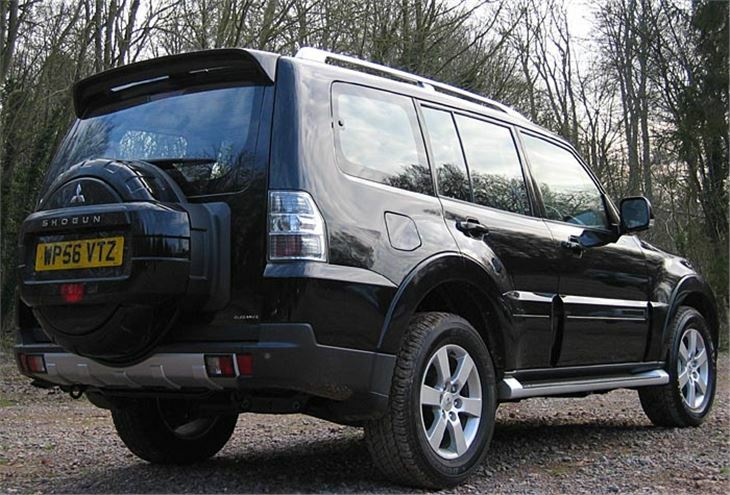 In that respect, the Shogun is no different from a Sorento, a Santa Fe or a Landcruiser. 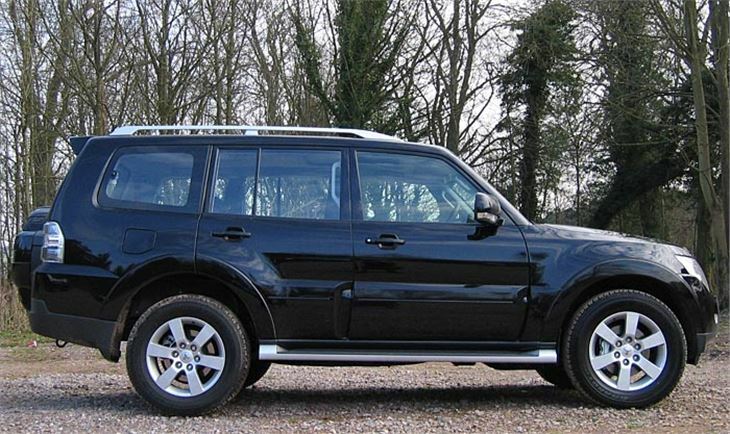 But Range Rovers, Mercedes MLs and GLs, Discovery 3s, Touaregs, Cayennes, Jeep Commanders and even Nissan Pathfinders are all a bit sharper on the road. 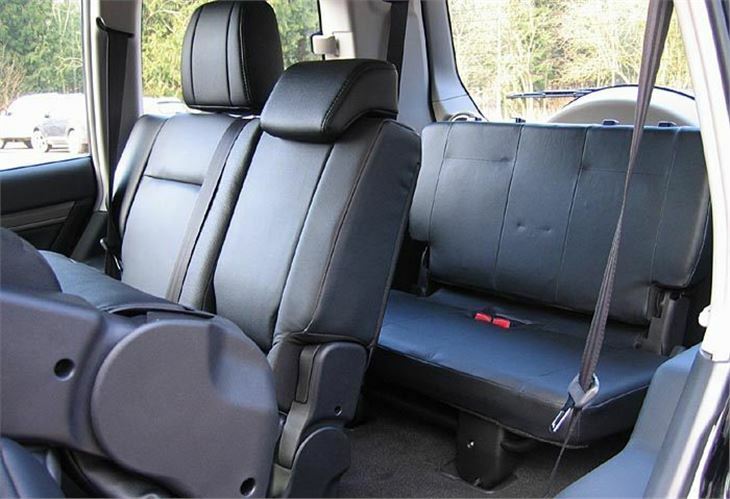 Despite being labelled a 7 seater, the rearmost seats are no fun at all for adults. Unlike the Disco 3 and Mercedes GL (but like the Pathfinder) there’s no toe-room under the seats in front. 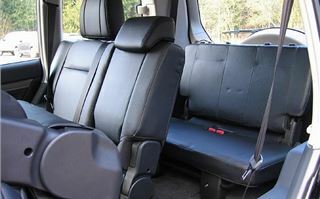 There’s more knee-room than in the Outlander, but the foldaway ‘Hide and Seat’ rearmost seats are really a kids zone. Like the Outlander, the satnav is now hard disc, and Elegance and Diamond models come with 860W Rockford Fosgate premium sound system. Prices start at £22,949 for the Equippe SWB manual, rising to £34,999 for the top spec Diamond LWB automatic. So no surprises. Just more of the same, but better.